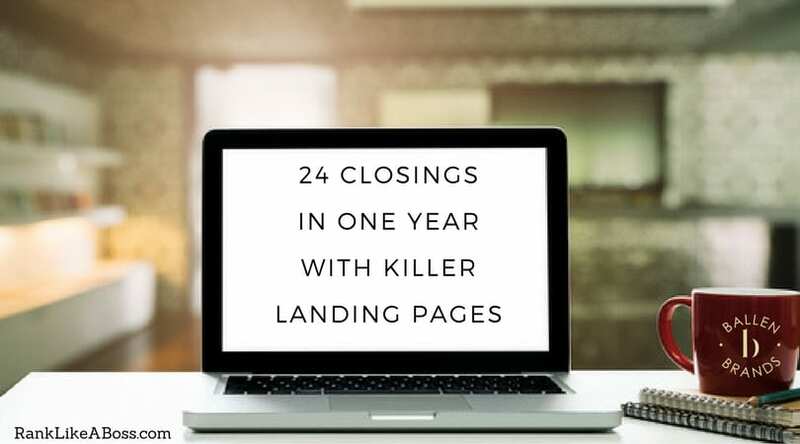 In this audio interview (click captions), Lori Ballen and Brenden Rendo discuss the power of driving real estate leads through killer landing pages. 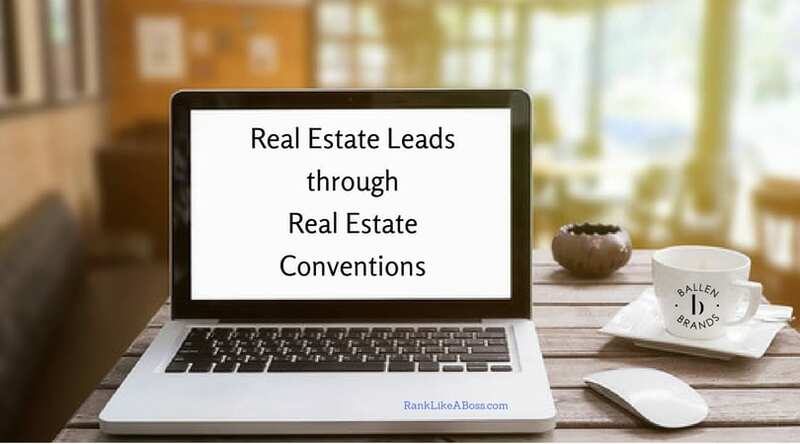 When a real estate agent takes a new listing, it should be leveraged through the power of marketing to generate more buyer leads and seller leads. 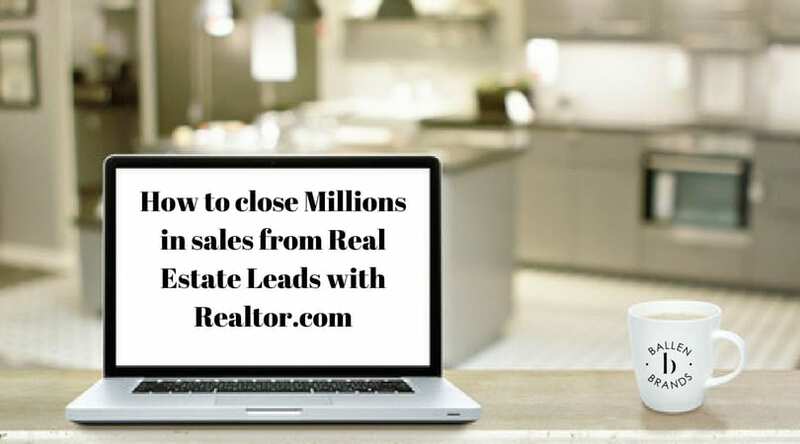 Brenden Rendo shares how 60% of his real estate business is generated through web leads including Facebook Ads, Google Ads, Coming Soon Ads, Open Houses, and Just Sold Campaigns. The lead portion, getting leads is not the difficult part. The difficult part is the conversion. Unfortunately, I think what you find is that the majority of people expect that once you get a lead, it’s going to convert. I can tell you from looking at my numbers over the past four or five years that the average time for me to incubate the lead is six months. That’s what the majority of realtors are not willing to do. Ballen Brands offers a special BREW of real estate agent websites. They are designed by Lori Ballen, a top real estate agent, digital marketing strategist and SEO who generates leads from the web. Built with an SEO focused strategy, this lead generation system offers a robust IDX, cornerstone content, drag and drop home page featuring reviews, community pages, calls to action, pricing tables, featured listings, top blog posts and more, custom templates for frequently used blog posts and pages, on the dash analytics and more. 702.917.0755. Lori Ballen: Hello everybody. Welcome to the show. Thank you so much for joining me. I’m Lori Ballen, real estate team owner here in Las Vegas, Nevada. We serve Las Vegas, Henderson and North Las Vegas with Lori Ballen Team. Also with your lead generation company, Ballen Brands where we build lead generation systems from real estate websites to pay per click marketing to content to campaigns and funnels in your CRM. 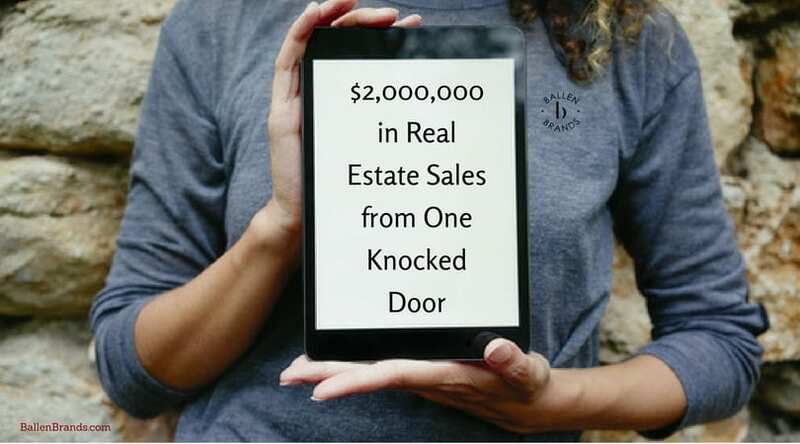 I’m bringing you this series of real estate agents that are doing some sort of lead generation at a very high level. The goal here is to be able to give you, the listener, actionable items that you can take and apply in your business if this is a lead generation strategy that would be interesting for you. Today, I have Brenden Rendo from Orlando, Florida area, and he’s been working in the real estate industry for over 20 years. Started as a mortgage professional in 1996 and continued in the industry until 2012, when his former appraiser, who was his then manager of a local RE/MAX, gave him the opportunity to get into the real estate agent side of the business. From the beginning of his career, he worked with a majority of internet leads, which is what we’re going to talk about today and has continued to develop his program around the use of the internet to generate both buyer and seller leads. Did you hear that? 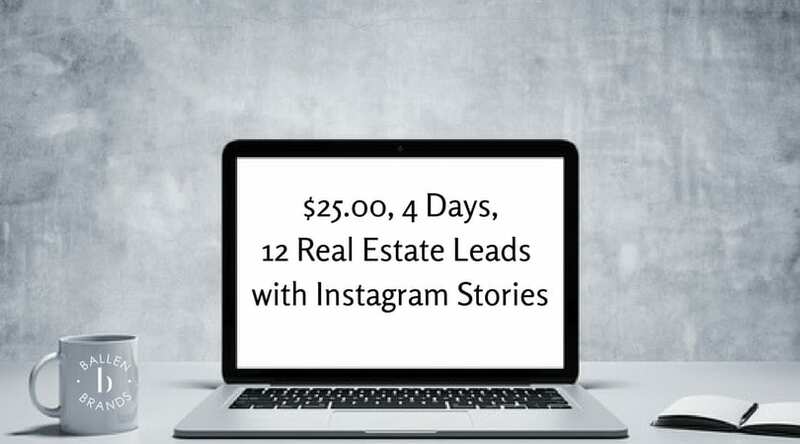 Both buyer and seller leads. 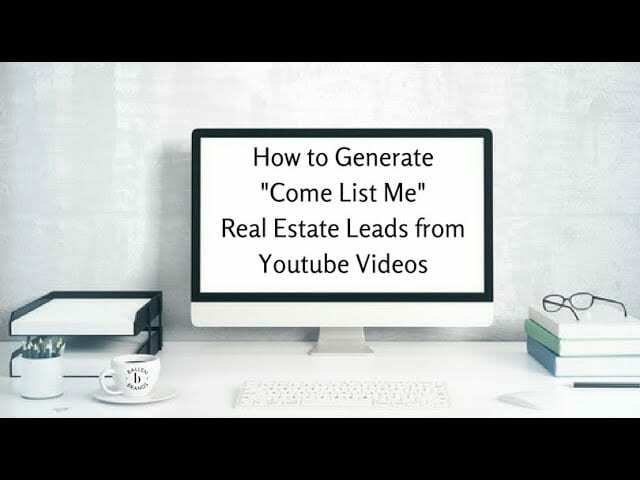 The main component of his system centers around Listings to Leads, which is a platform I talk about a ton, and that’s the platform we’re going to be focusing on today. Brenden, thank you so much for joining me today. Brenden Rendo: Oh, thank you for your time, Lori. Appreciate it. Lori Ballen: Alright, so let’s talk here. Last year, you closed 40 homes and 60% of those were from the internet, which is an incredibly high amount. The rest were from referrals. Today we’re going to focus specifically on the internet. Tell me what you’re doing on the internet to generate leads and then to generate that many closings from them. 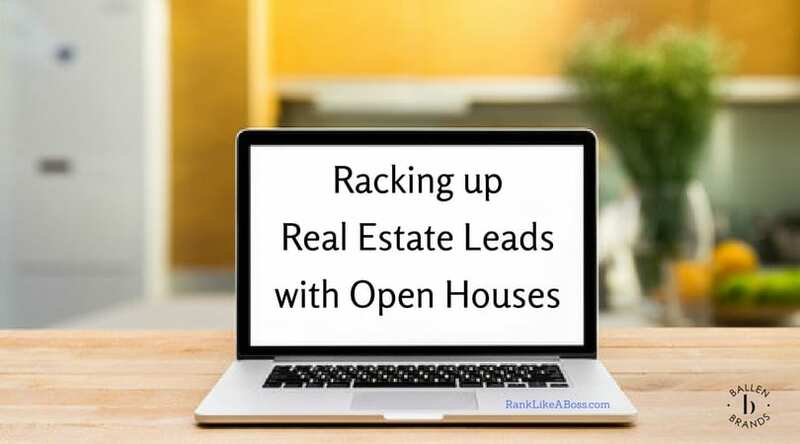 Brenden Rendo: To generate leads, we really do utilize Listings to Leads program quite extensively. I’ve been using the system for probably about four years now. Watched it develop, watched it grow. One thing that, if you’re a newer realtor out there, one thing that I really love about it is it has processes in place for you. If you’re not sure what to do, each step actually has a checklist for you. One of the things that I did when I started out, and I think this comes from my mortgage broker side, is I went through and put my processes together. My broker will tell you that I probably spent about six months putting the processes together. When I get a lead, I do this. When I get a listing, I start here and I work my way down the list. I’ve got that set up for my leads, for my buyers, for my listings. I follow it, and I adjust it every once in awhile, quite honestly as technology changes and it’s changed quite a bit over those four years. Lori Ballen: Okay, so you took some time and you put in systems and processes first, or that’s the key that I heard there, although not everybody has the time to wait and build processes for six months. I do think there is gold in that statement of putting together systems and processes, because those of us, like my business, that live off of web leads, understand that there’s a whole other leg to this which is conversion, and getting the lead is only a piece of it. Brenden Rendo: The lead portion, getting leads is not the difficult part. The difficult part is the conversion. Unfortunately, I think what you find is that the majority of people expect that once you get a lead, it’s going to convert. That’s not true. I can tell you from looking at my numbers over the past four or five years that the average time for me to incubate the lead is six months. That’s what the majority of realtors are not willing to do. But once you start it, you’ll find that now you’ve got yourself a consistent flow of real clients, because they will come back to you. It goes to that old adage that 80% of people would use their realtor again, they just don’t know who their realtor was. They forgot. Lori Ballen: For our readers and listeners who don’t know, Listings to Leads is a tool that allows all of our listings to be fed into one dashboard where then we’re able to market the listing, blog about the listing, it’s got landing pages, single property pages, it can create a video and feed to YouTube, there are seller reports, there’s a whole library of different landing pages from Instant Home Valuations to Empty Nesters, all kinds of things. Autoresponders where you can send PDF reports. It’s a really comprehensive tool, and by the way, for those of you that are going to ask, the fees are based on however many listings you carry. I’m not going to get into the details, but we can send you to the site. Brenden, tell me what you’re doing specifically with Listings to Leads to generate business. Brenden Rendo: Specifically, we’ll go through the listings. What we do is we create for every listing, we create a single property web page to start with. One thing we do uniquely is we actually embed a 360 tour for every listing. We’re doing that when we’re creating our single property web page..
Once we’ve created that single property web page, we’re then going in and we’re creating an ad both on Facebook, Google, and Bing. With that, what we’re trying to do, I’ll give you an example of our open house we had this past week. We actually marketed it as a Coming Soon for a week. Got it out there, got it exposed to the market. Then Monday, we turned it into the open house, so we went in, changed it to open house, remarketed it now as an open house. One thing that I do that gets a little more in-depth is I do the pixel, I utilize the pixel tracking and the tag tracking within Facebook and Google. We retarget the people that have actually gone by and looked at the page already. Then what we do is we’ll actually put the house live on the MLS on Thursday, but not allow anyone to see it until the open house on Saturday. 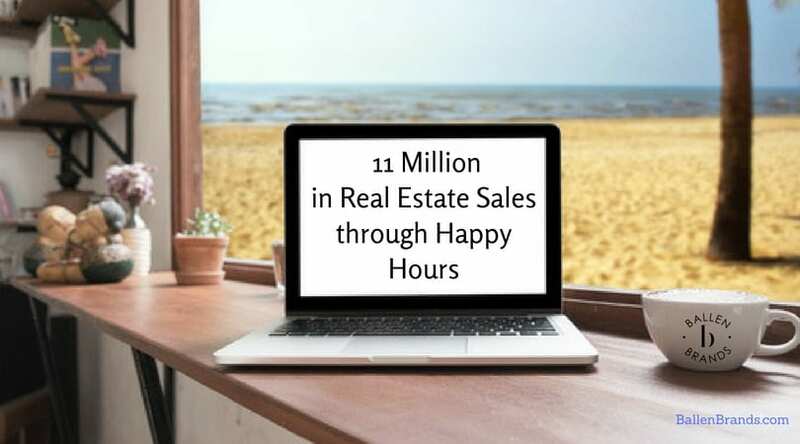 By doing this, we’ve created all this anticipation over a two-week period utilizing the Listings to Leads single property page and they also have a listing landing page as well that I love because when you put in the coming soon or you put in the open house, it’s got a countdown clock on it. People can actually go back and get an idea, picture in their head of okay, I’ve got three days and two hours before this house becomes available for me. We’ll end up getting calls from agents the minute it goes live on MLS that, “Oh, you’ve got the open house. Oh, we can’t see it? Oh, well my client’s already seen it. They really want it. They really want to get into it. Is there any chance we can get into it before the open house?” We purposely don’t let them in. We did a three-hour open house and we had 25 people through that house on Saturday. Okay, so the listing is automatically fed into Listings to Leads through your syndication portal, right? You’re not manually entering these. Okay. Now, once that’s in there, there automatically is a single property page created from the listings. I want everybody to understand that. Brenden, are you customizing, besides the fact that you’re adding the 360 tour, are you customizing your links or anything else on your single property page that people should know about? We actually will offer a closing cost contribution or a reduction in commission if you’re not working with another agent. We’ll build that into the description. Lori Ballen: Oh, so you’re putting in a special offer and a call to action? Brenden Rendo: Yep. We put that in. We’ll take the scheduling appointment and I customize that a little bit so it comes into the landing page and it’s right there in the middle. One of the things that we’ve worked well with is a program that allows you rent-to-own. We’ll build that into the page as well. Lori Ballen: Brenden, let me ask you a question. Do you have any kind of tracking in place to know, have you been able to measure yet which is drawing attention and where people might be registering or might be interacting, like a heat map or tracking URLs or anything like that yet? Brenden Rendo: Oh yeah, I track my URLs. 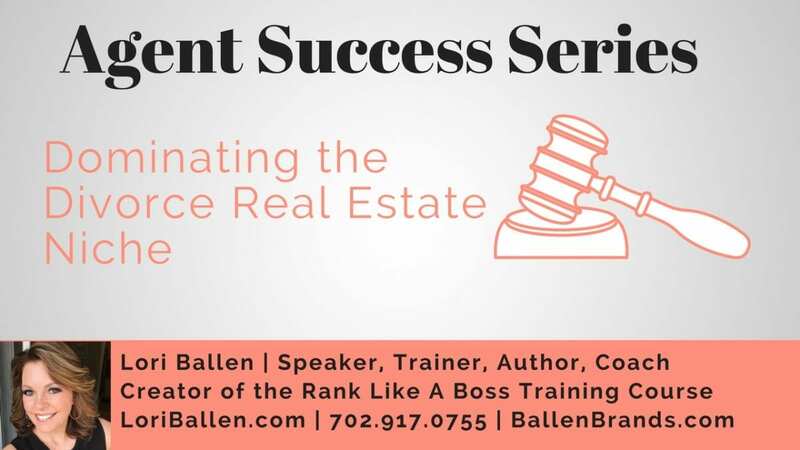 Lori Ballen: Okay, so you’re customizing your calls to action, that’s great, and then after you have your single property page, then are you running a Facebook ad at that point that’s going to that single property page then? 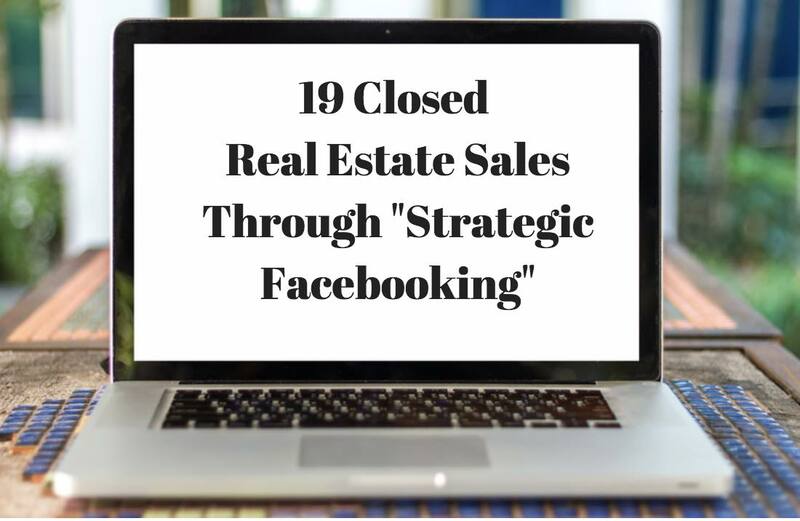 You just started to say Facebook, or are you only marketing to the open houses? As soon as we have it coming soon, as soon as we do the coming soon, we start producing ads. We’re using Facebook, Google AdWords, and Bing. Lori Ballen: Okay, so stop there a second. When you are doing the Facebook ad, you are sending them to the single property page? Brenden Rendo: We’ve been doing some A/B testing on Facebook to the single property page and the listing landing page to see which one’s performing better. Believe it or not, it’s about a 50/50, which surprises me. Lori Ballen: Yeah, I personally have found that the single property page in my case doesn’t convert as high as the generic landing page. Not generic, but the one, for the listeners, there’s a couple. There’s a single property website that has all the details and pictures and everything, and then there’s a landing page where it just has the basics and then they have to register. In my case, when I split test those two, the landing page way outperforms on conversion rates. But that’s going to all depend on what we’re including. Like you just said, you’ve got different calls to action, so it depends on how we build our pages out. Can make a difference too. Brenden Rendo: True. One thing I’ve also found is it allows you to set the time. If you’re using the single property webpage, it allows you to set the time for people to register. I believe it’s, what is it, 10 seconds, 15 seconds, 30 seconds. I found that if I do 30 seconds, the registration is better because they’ve started to get themselves into the page and then it pops up. I found that if I do the 10 second, I don’t get hardly anything, but if I do the 30 second, where I’ve allowed them to get into the page a little bit, I get higher registrations. Lori Ballen: Interesting. Okay, so on your Facebook ad, who are you targeting? What’s your demographics? Lori Ballen: You’re targeting income? Brenden Rendo: One of the things is we’re targeting income. Two, we will target an area because we find that most people who are looking within the area that I target, which is Seminole County, probably 95% of them actually come from Orange County, which is Orlando, and Seminole County. We actually try and keep everything within those regions. Do the demographics. I’ve tried the Likely to Move within Facebook. Didn’t like it. I just felt like it was leaving out a lot of people. Lori Ballen: Yeah, what’s interesting is I think one thing people need to realize about Facebook ads is that every single audience you add increases the automatic cost per click until there’s some sort of relevance score that’s determined. With each one of these audiences, two things happen. One, we limit our reach, which in my case doesn’t matter because in Vegas I’m not going to spend enough to reach them all anyway typically, but we limit our reach. Two, we spend more money. Although laser targeting a specific demographic that we know is most likely to react to our ad is a goal, if we don’t do it properly, we wind up spending a whole bunch more money by including all those targets. There is a balance to that. I do better sometimes with absolutely no targets, I get them for pennies a click, and other times if it’s going to be a $500,000 house, which is considerably higher than our average price range in Las Vegas, then I need to go in and exclude people that make lower than a certain income and I might do something like that. That’s why I’m always asking people what kind of demographics. Brenden Rendo: I actually use display ads. I mean, it’s absolutely amazing. I think I ran like $100 for three days and I ended up with close to 33,000 impressions, which is, when you think about it, that’s pretty much 99% of it was on mobile phones. My click-thrus were close to three or 400. Somewhere in that ballpark. I really love the new Google AdWords dashboard. Lori Ballen: Yeah, I’m enjoying it now too. I wasn’t at first, but now I am. Alright, so just for the sake of time here, you’ve got your single property page, you’re running an ad, you’re running a Facebook ad, you’re running Google ads, you’re doing some other advertisements. Then you said you are planning an open house and your marketing and now you’re pushing everything to the open house. Lori Ballen: Then are you running any ads around the open house page? 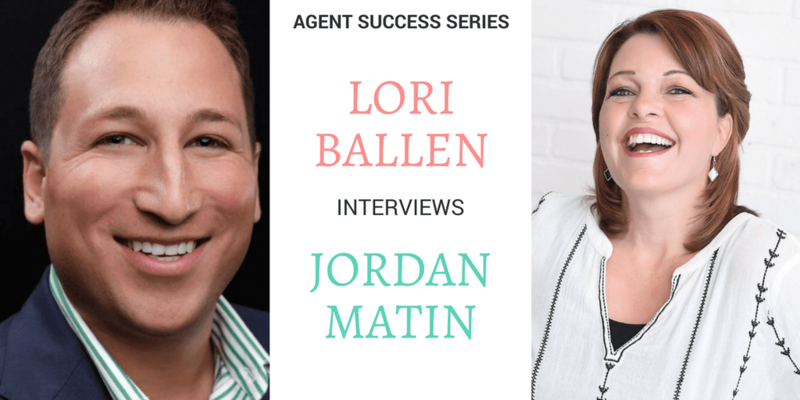 Lori Ballen: How are you marketing that? Brenden Rendo: The open house landing page, not the single property page, but the actual landing page, I use that one almost exclusively once we’ve determined which day the open house is. Lori Ballen: Okay, the actual landing page for an open house, not the single property anymore. Brenden Rendo: Right. Right, because I love the clock. Brenden Rendo: We’re going back and we’re doing the same thing. We then stop the Facebook ad for the coming soon, and we change it to the open house now. The same thing on Google. Lori Ballen: Okay, and then once the home goes under contract, what are you doing with it? Brenden Rendo: Once it goes under contract, then we’re taking Listings to Leads and utilizing their tools, which is again doing a Facebook post, actually boosting it. This is where I don’t really, like yourself, I don’t target. I think I just do homeowners. I just did one today for a house I just sold here in Winter Springs. Boosted it out, did $40 for seven days, just sold, utilizing the single property webpage that has the Just Sold on it now. Find out what it sold for. We’re taking the mailer that you can produce in Listings to Leads and we’re going to be mailing that out tomorrow as well. Brenden Rendo: To everyone in the subdivision. Lori Ballen: Oh it’s on the mailer. For those that don’t know, what’s on the mailer? Brenden Rendo: There are so many tools in Listings to Leads. That’s what I love about it, is it allows you in one central place to try out numerous different things. You know what I mean? That to me is key. I love your stuff. I watch all your videos. Brenden Rendo: I’m always trying to learn, and I’m always trying to do new things. Is there a way we can fine-tune this a little bit here? Fine-tune it a little bit there. You know what I mean? What’s going to get us a little better return rate? That I think is one of the biggest things with newer agents. Don’t be afraid to try, because your competition’s not doing it. Try it. Worse thing that can happen is okay, you maybe don’t get any responses. Okay, well you know at least now that one doesn’t work, let me adjust it. Lori Ballen: How about the blogging of the listing on the other channels, like WordPress? Brenden Rendo: Yep. Yep. We blog everything. We put everything, one of the first things we do in the office when we get in in the morning, is we take the Craigslist and we update all of our listings in Craigslist every day. Lori Ballen: Oh, you are? You are using the Craigslist posting tool? Okay. Lori Ballen: You’re still seeing stuff from that, from listings? Brenden Rendo: Yeah. 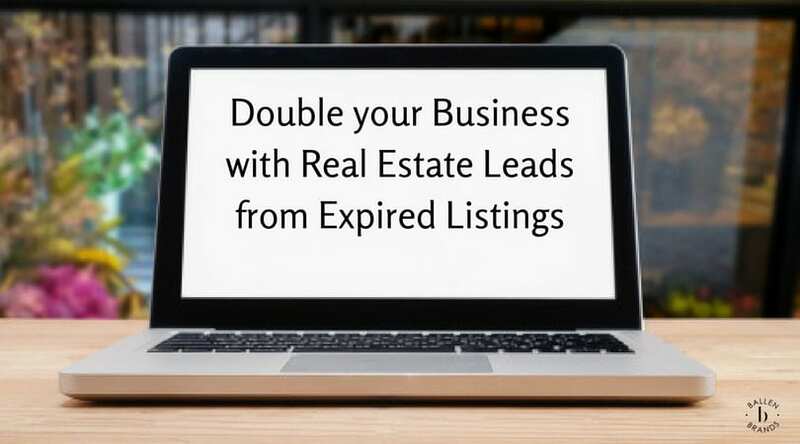 The nice thing I like with the Craigslist is we utilize that the text code that’s available in Listings to Leads, and we make sure it’s on the picture and the great thing is, it’s really a cut and paste into Craigslist from Listings to Leads. You have a nice little function with your browser that you can add and it’s just cut and paste, cut and paste. Brenden Rendo: Most people on Craigslist I find use the text code. Lori Ballen: Oh, no kidding. Are you getting more texts? Brenden Rendo: I get more texts out of Craigslist. Lori Ballen: I like that. Brenden Rendo: The great things with the text code is I got their phone number. Lori Ballen: Yeah. Now you can text them and call them. Brenden Rendo: Exactly. Exactly. Yep. Lori Ballen: Alright, and are you using any of the landing pages, like the Home Valuation landing page, or the Empty Nesters? Lori Ballen: What are you using? Brenden Rendo: Yeah. We use the Whole Value PLUS. Lori Ballen: Okay. Any others? Brenden Rendo: I’m actually going to start using the Empty Nesters because we’re going to start targeting the Northeast for a lot of the retirees and there’s a lot of 55+ communities around me. Brenden Rendo: That’s one I’m going to try. Lori Ballen: I did a little spin with it and I’m suddenly ranking number one for retiring in Las Vegas, so I’ve been thinking more and more about testing the Empty Nester one and seeing what it does. There’s a lot of cool ones on there, and I also know a lot of people that, I don’t know if you’ve done it yet, that are customizing the landing pages, making it whatever call to action offer they want, and then they’re giving away a download or a PDF or something and then they just set it up on autoresponder, so they’re bringing in a lot of leads through that as well. Brenden Rendo: Yep. Yeah, the system is fantastic. I’ll tell you one thing I really like, is the Headline function that they’ve brought into the system. Lori Ballen: What is that? I don’t think I’ve seen that yet. Brenden Rendo: Oh, what it is is when you go into your Home Valuation page, I believe it’s on the PLUS one, is it has a Headliner function now so that say I find an article, for me it’s the Orlando Sentinel, where there’s a great article about housing. I can take that article, put it into the Headliner, and do a post on it and now when the people pull it up, up top it has Get Your Home Value, and it has the article below it. Lori Ballen: Oh, no kidding. Lori Ballen: So you’re curating content and piggybacking with your home valuation page. We actually have added our home valuation tool integration now on our WordPress Real Estate Agent Websites called BREW. Brenden Rendo: Piggybacking, yeah, with my home valuation there. Lori Ballen: Okay, I’m going to have to go play with that. What else? Is there anything else that, I know I’m going to be trying out the new systems Scott’s rolling out, which is going to be fun. What else is new that should anybody else be using that we may not have talked about? Brenden Rendo: I could probably go on for days. Lori Ballen: Well we’ve got three minutes. Ready, go. Brenden Rendo: No, I really do love the system. Another thing I do for the sellers is, and this was a great, again, going back to the Mastermind, is we pull by zip code at the first of every month, we need to actually start them today, is we’ll pull all the sales within that zip code and create an ad, a Facebook ad, with the map, okay, of everything that’s sold within that zip code. Get Your Home Value. That’s how we go after the seller leads. Brenden Rendo: Oh, I will try anything with it. I mean, I’ve started utilizing, I utilize a lot of videos in my ads now.The one I posted this afternoon for the sale of my home, I took my 360 picture, captured it, did about a 30-second capture, and posted that as the video and boosted that with the link to the information on the house because it’s interesting, the video, if you do a video ad, I can get more exposure at a cost that is a tenth of a regular ad. Lori Ballen: Yeah, for sure. Brenden Rendo: It’s like, why would I do a static ad? I’m going to do a video ad. Lori Ballen: Right. There’s a lot of power in that right now. Alright so tell me, do you think what you’re doing, do you think using Listings to Leads is a scalable lead generation? Brenden Rendo: Oh, yeah. You could take it as someone who’s not experienced, watch some of the blogs, watch some of the videos, work with the Mastermind group. Everyone, it’s such a nice community because people share stuff on there all the time. But you’ve got a set … He gives you the checklist to start with, and if you just start with that checklist alone, and you do it, key, doing it, you will generate leads and be successful. Lori Ballen: That’s awesome. Any other last-minute advice for anybody that wants to be just like Brenden Rendo and master Listings to Leads and internet marketing? Brenden Rendo: Be willing to try stuff. Try. Try, try. Put it out there and learn. That’s the only way you’ll ever know how powerful. Lori Ballen: Be willing to fail, because with trying also comes failure. Brenden Rendo: The other thing is be prepared for Facebook to change something on you as soon as you get it down. Alright, well thank you so much Brenden. If anybody wants to send you a referral because they loved your interview so much, where do they reach you? Brenden Rendo: They can reach me at Brenden, brendon@homesinorlando.forsale.